The antique toy counter marking the entrance to PS150 evokes gasps of wonder at long lost childhood friends, belying the more adult fun that lies inside. Yet it is this tip of the hat to nostalgia and the yearning for a more golden age that is echoed throughout the establishment. 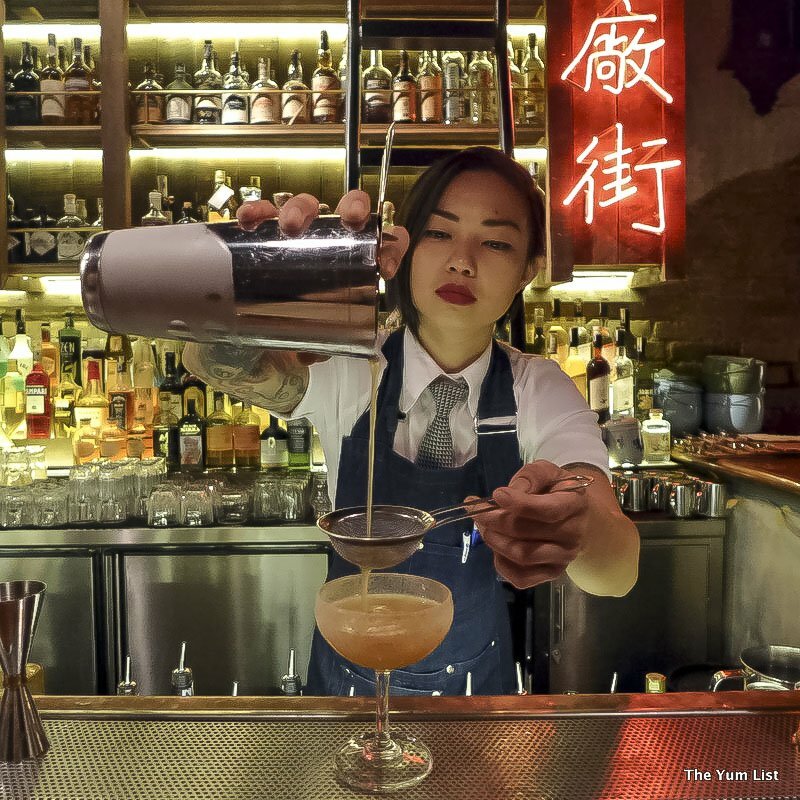 Co-Founder and Head Bartender Angel Ng seeks to lead her patrons on a journey, and from my first step inside, I am a willing follower. The cocktail bar is laid out in stages, each one underpinned with the sultry, chilled tones of Angel’s personal playlist. In the first stage, we are met with wide charcoal wing-backed chairs set back behind beaded curtains. Light filters through oriental parasols festooned from the ceiling, bathing the historical photographic portraits adorning the hall in a soft red glow. 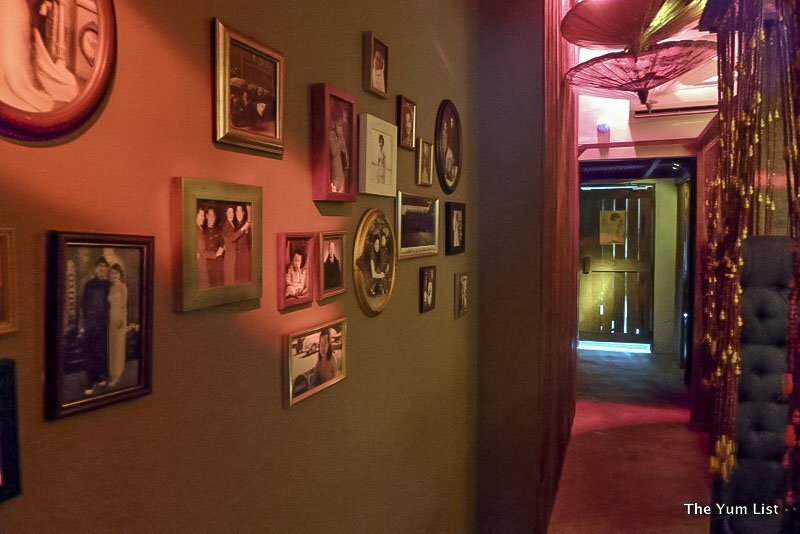 The room has a sensual feel, harking back to the building’s former life as a brothel. 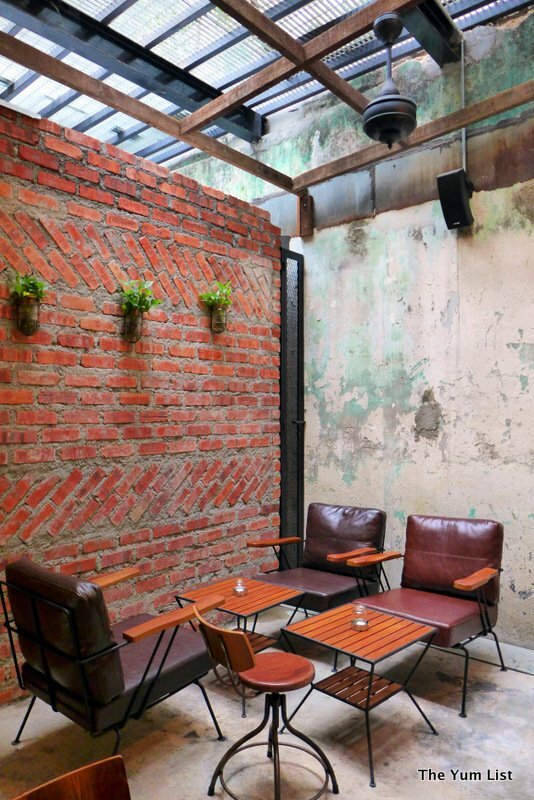 As you move through to the outdoor smoker’s den, deep rich leather chairs seductively beckon you and the drink ledges set into the exposed brick wall are an invitation to visitors to partake of the somewhat lost art of striking up standing conversations with strangers. The roots of an aged fig tree creep down the wall, bearing silent witness to the night’s goings on and lending an ethereal spirituality. PS150, Where Does Hallway Path Lead? Pushing open the door reveals the bar itself. Backlit in warm tones, the rows of exotic and hard to find alcohol bottles reach all the way to the ceiling and are the showstopper of the room. 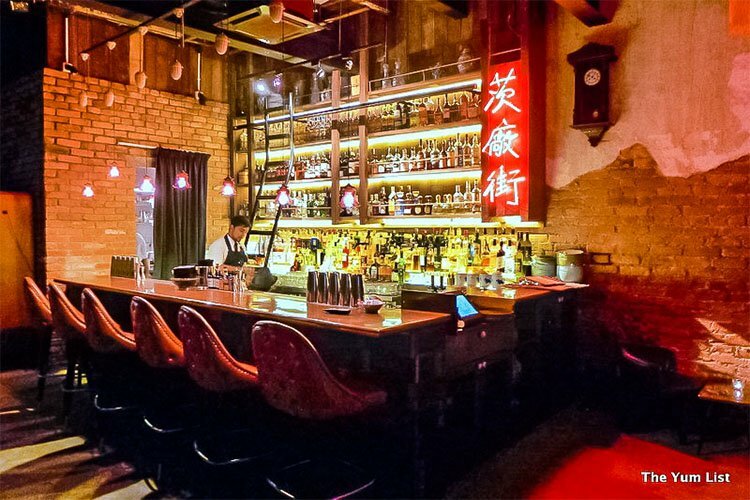 Dark wood, soft leather and a copper bar are softly lit by more red lanterns and our eyes are drawn to the red neon sign, ‘Chee Cheong Kai’ in Chinese, or Starch Factory St. – the traditional name for Petaling Street still fondly used by those who prefer to reside in forgotten eras. Romance with the past is strong here and captivating to all those who visit. When ordering your first (but definitely not your last) cocktail from the bar you have a number of choices. 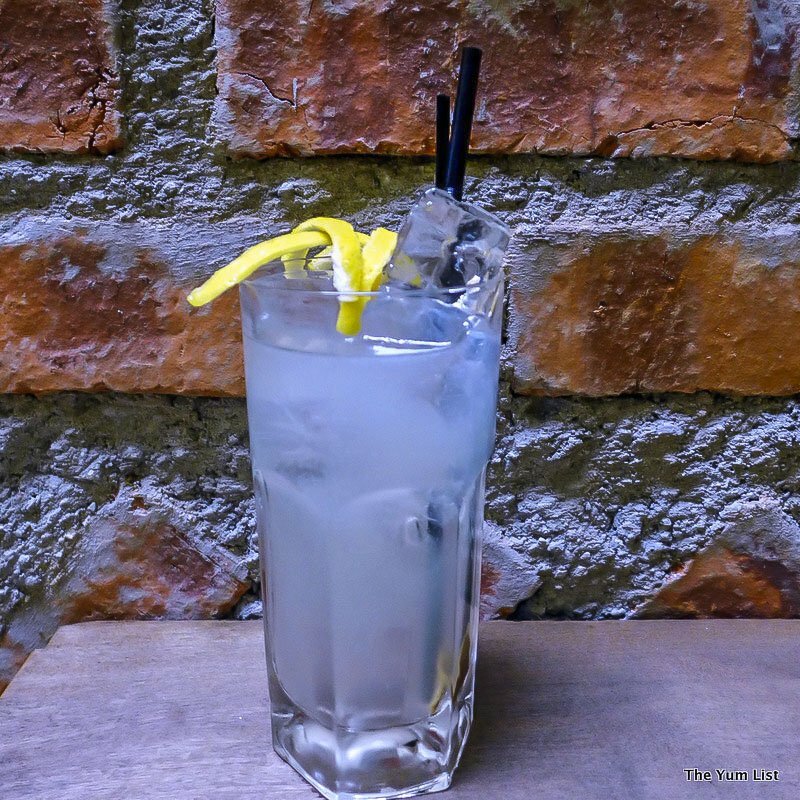 You can peruse the menu and make a selection based on era: Vintage (pre-prohibition, 1850s-1910s), Classic (prohibition, 1920s-1930s), Tiki (post-war, 1940s – 1960s), Disco (dark ages, 1970s-2000s) or Contemporary (revival, late 2000s – present). You can answer three questions from your bartender to indicate your base, flavouring and strength of choice. Or for the courageous few, you can embark on a liquid degustation, beginning with appetizers and moving through entrée, main meal and desert cocktail equivalents. We begin with the lightest of our tastings for the night – The Salty Chinaman from the Disco era. The combination of slightly sour, salty, bitter and sweet flavours sit refreshingly on the tongue, each complimenting the other without any one overpowering the rest. The lemon, bitters and preserved orange deliver a zing which lingers delightfully, causing you to salivate, a ghost of a memory to taste in the back of your throat. Angel calls our second cocktail of the night her best cocktail to date. Dubbed Lychee No. 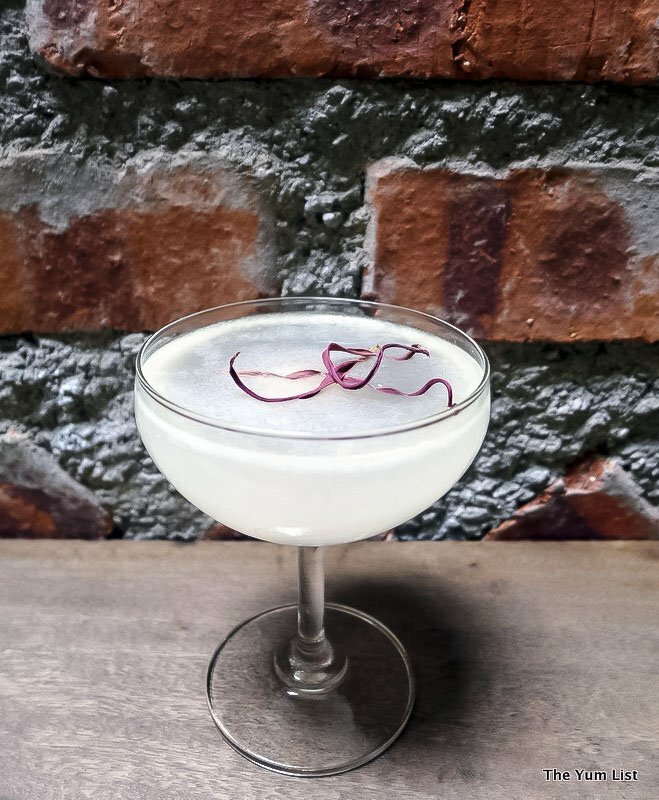 3 it is a fresh take on the traditional lychee martini, also from the Disco era. Like all Angel’s offerings, it is a unique and pleasurable twist on an original, with a delicately balanced infusion and layering of Asian flavours and ingredients. Dry, fruity and floral flavours swirl around the inside of our mouths with each sip, the lime accentuates the lychee while the tangy and floral taste of the ginger flower is addictive and moreish. The drink is a sweeter choice, but elegantly so. Monica later returns to this one and declares it her favourite. Next up is one of Angel’s newest concoctions, the Melaka Daiquiri, soon to be listed on the Vintage section of the menu. For those fans of mulled wine, Christmas puddings, and richly decadent desserts, this one is for you. Aromatic, heady spiced rum provides the base to this darkly exotic mix, while notes of lime and a hint of sweetness play around the edges of the palate. A slice of dehydrated lime provides the finishing touch. For Caning and I, this cocktail is our hero of the night and speaks of good things to come with Angel’s upcoming menu adjustments. The Assam Boi Margarita from the Classic Era is our last cocktail of the evening and the heaviest of our tastings. It is both sweet and sour, with a sharp, long finish. It leaves a lasting impression in the mouth with sour plum and a dusting of assam boi powder around the rim, inducing lip-licking to the last sip. This one packs an invigorating punch, and is a perfect choice for those who like their concoctions strong. It features as our ‘main meal’ of the evening. But we are not finished yet. 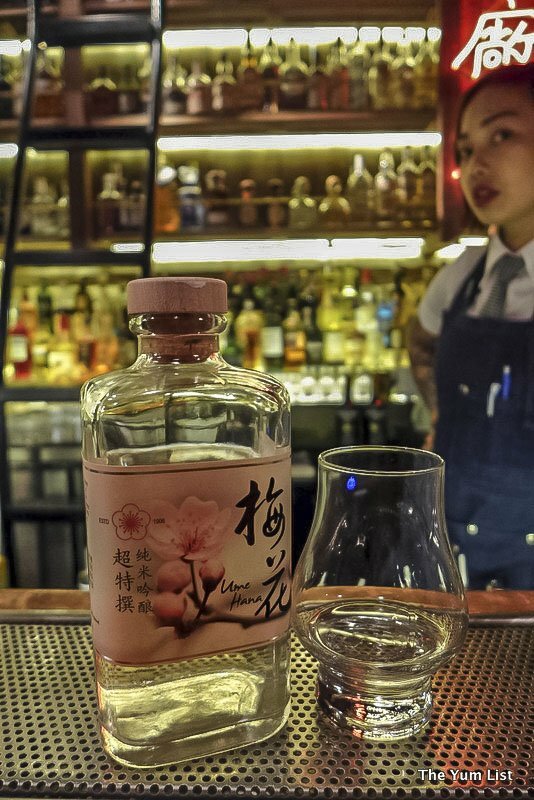 Angel grins slyly and produces a small square bottle from behind the bar – a bottle of Joo Lee Chan (JLC) distilled rice wine made at one of the few distilleries that still survive in Malaysia. This is Angel’s crowning piece. Not yet publically for sale, and is only available for small tastings in the right circumstances. Not for the faint of heart, it burns deeply in all the right places, and Caning and Monica agree it shares similarities with Italian Grappa. Compared with traditional rice wine, which is typically fermented and not distilled, this is smoother, more balanced and much more complex. Hopefully it will become a permanent addition to Angel’s collection of locally sourced alcohol, together with gin from Bangkok, vodka from Vietnam and Don Papa rum from the Philippines. Angel has made it her mission to infuse Malaysian flavouring into her cocktails. Her accolades are too numerous to list. She has either won or placed highly at both regional and international bartending competitions. In her limited down time she travels the country, learning traditional recipes and flavouring secrets to add to her ever-expanding repertoire. It is this hankering to capture the essence of Malaysia in liquid form that patrons of PS150 will appreciate. Throw her local ingredients and she will make magic out of them. All cocktails currently on the menu are priced at RM39, and there is also a selection of punch, wines, fortified wines, non-alcoholic beverages, and a truly dizzying array of spirits. To watch Angel and her bartenders work is to watch master craftsmen at their art. Accuracy and precision are paired with a subtle flair and showmanship lacking in pretention. No movement is wasted. Every recipe has been repeatedly practiced with discipline for faultless consistency. This old school dedication to the perfection of a craft adds a final layer to PS150’s journey of nostalgia, and for those visiting I highly recommend taking up a position with a view of the bar after being served, so that you may watch the masters at work. Reasons to visit: Cocktails worth writing home about, particularly the Lychee Martini No.3 and the Melaka Daiquiri; effortlessly cool music; décor that is at once seductive, inviting and warm while also conducive to mingling; a romantic obsession with nostalgia; and the entertainment of watching some seriously talented bartenders perform their craft. Not a fan of Jalan Petaling but yes, I love such nostalgic places. Beautiful! A walk down memory lane. 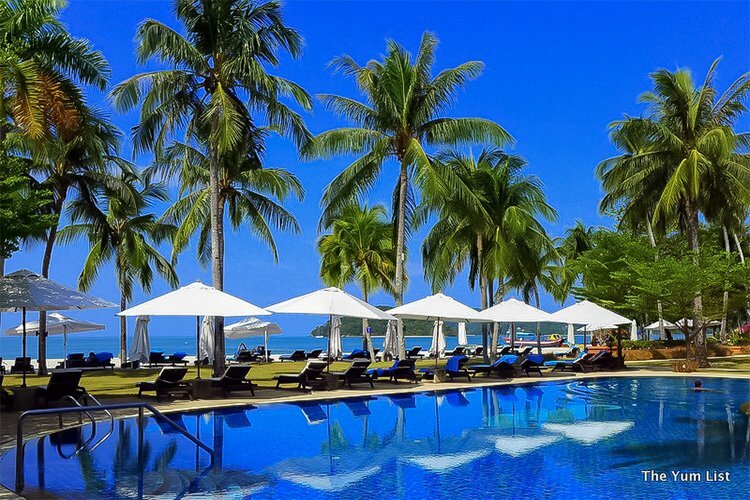 It’s rare to find somewhere nostalgic with a strong Malaysian heritage isn’t it? Definitely worth a visit! Hello, what a unique place, I love the decor. The drinks look and sound delicious. Thanks for sharing. Enjoy your day! The cocktails really are incredible. The Malaka Daiquiri was definitely my favourite, but I love they can tailor something to suit everybody’s personal tastes. 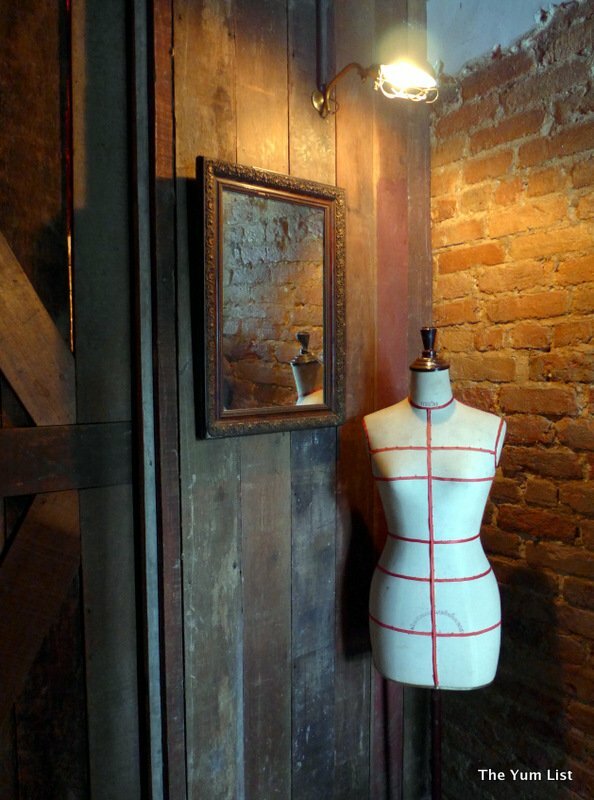 I think that the exposed brick and decor give this place a very warm ambiance. 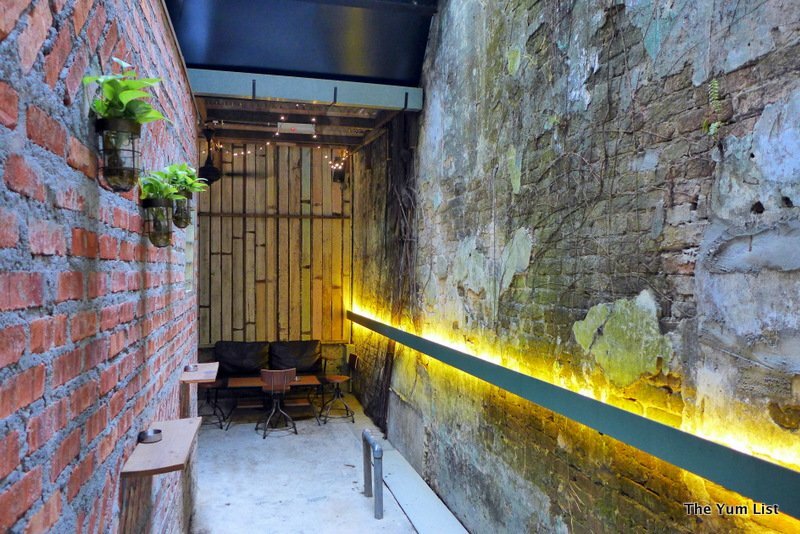 There’s something so quintessentially comforting about exposed brick isn’t there? And the old fig tree really gives it that incredible secretive feel. Very interesting place. 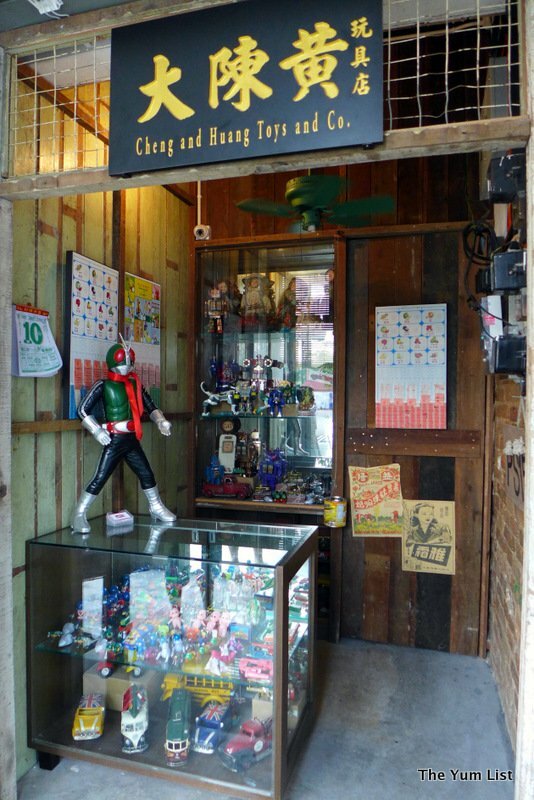 Looking at the signboard and the counter, I would have thought this is a toy shop! 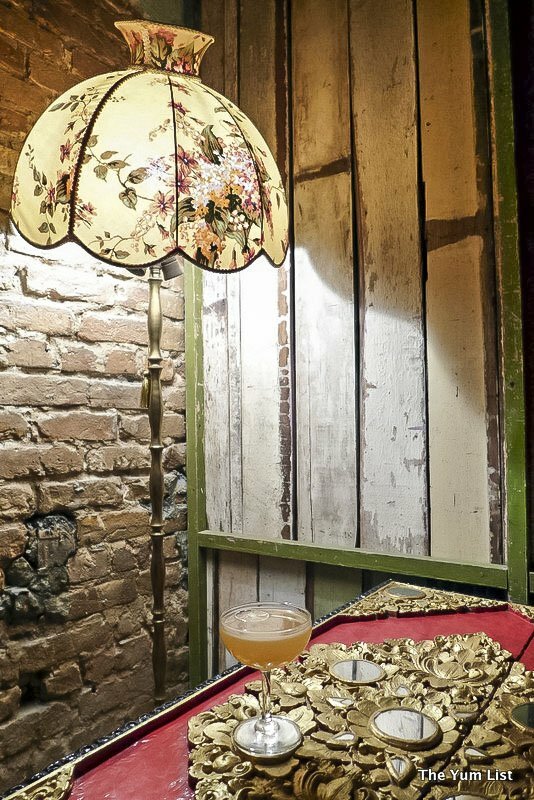 Love the old fashioned lamp shade. Have a great weekend! It’s such an inventive entryway isn’t it? Such good fun spying all the lost toys from our childhoods! Now that would be unique! 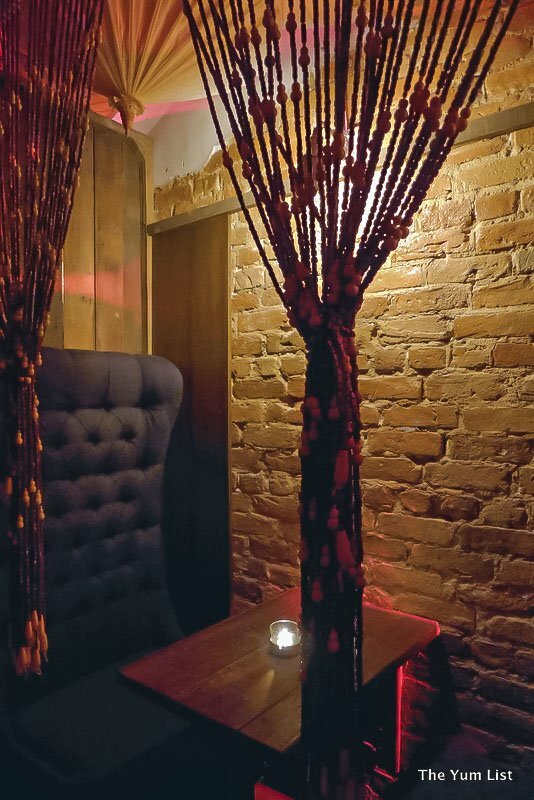 Love the nostalgic decor and the cocktails with a twist! Would be a great place to bring visitors to! Absolutely! 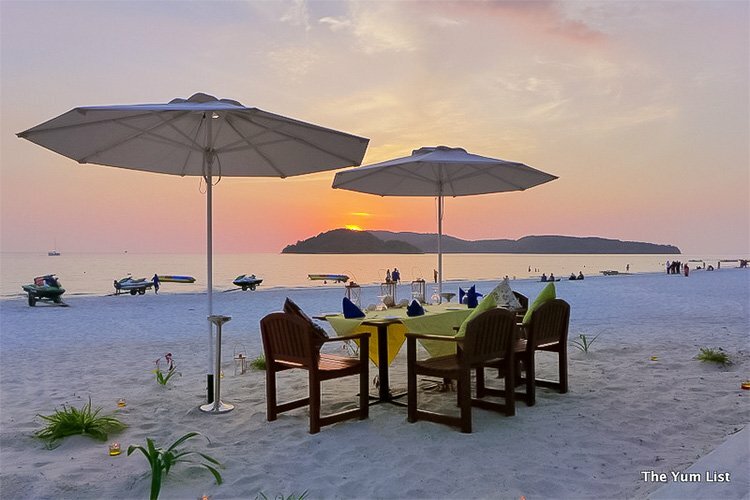 The tastes of Malaysia, combined with cocktails and a bit of history. What better way to show off KL?